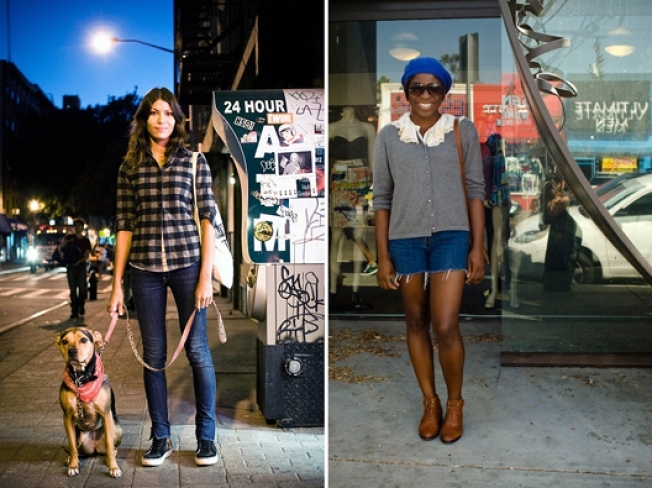 We've picked the highest-ranked Street Scenes subjects of the past week from Racked NY and Racked LA; now you decide which coast has the best style. On the left, we have our NYC contender Dawn (72.7% Perfection!/22.7% I feel strangely ambivalent about it/4.6% Who did this to you?) wearing a RVCA shirt, Earnest Sewn jeans and Vans sneakers. On the right, we have our LA contender Kerri (36.4% Perfection!/23.6% So close/27.3% I feel strangely ambivalent about it/12.7% Who did this to you?) wearing a vintage top, shorts and sweater, a Forever 21 hat, Urban Outfitters sunglasses and boots from Slow.